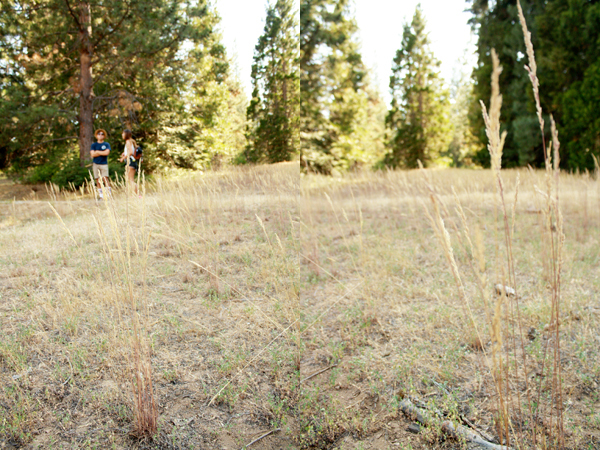 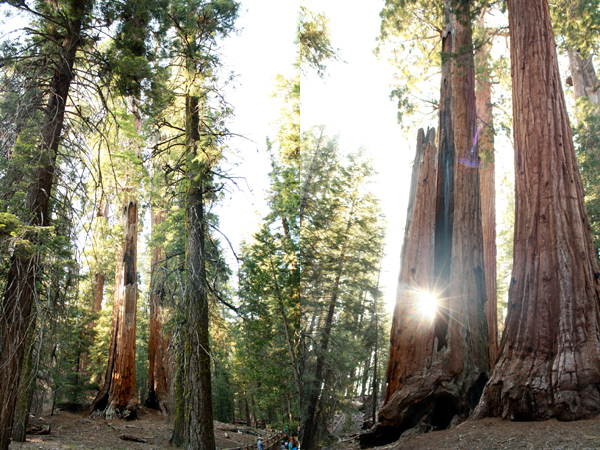 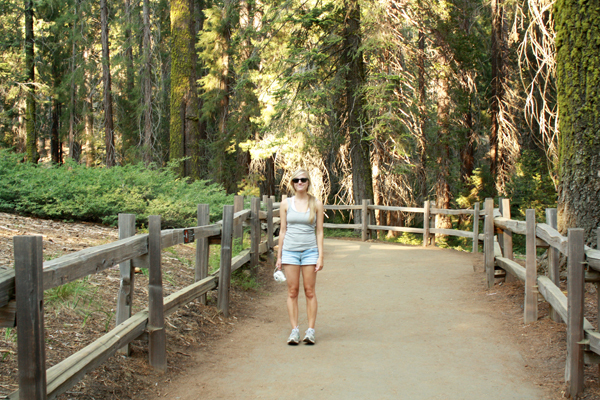 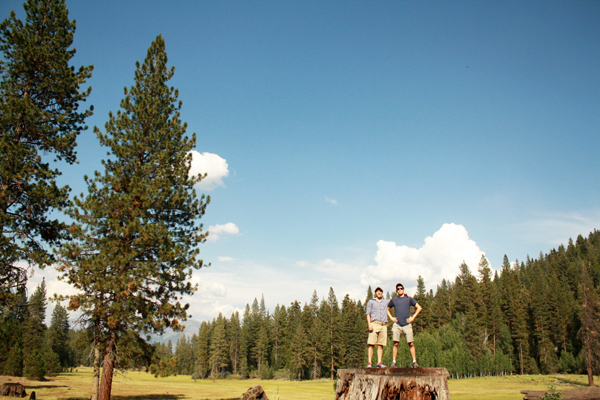 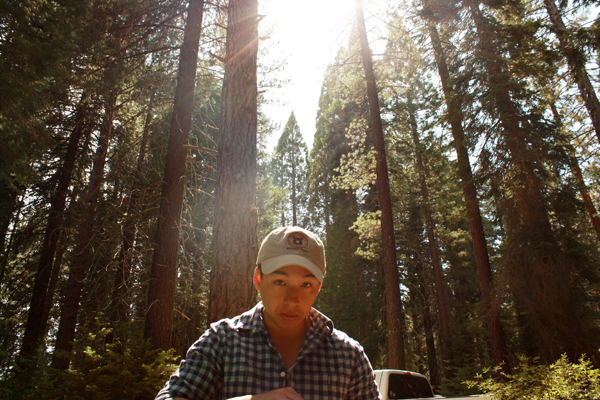 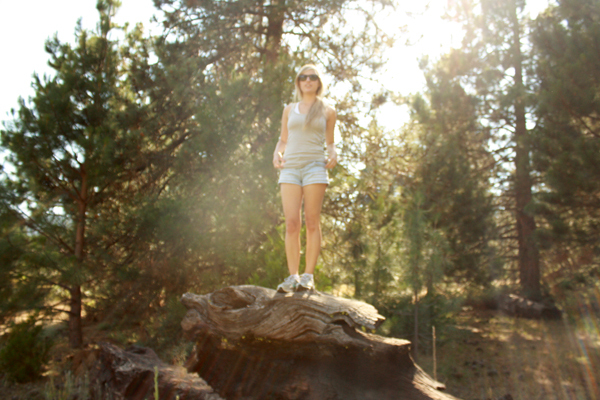 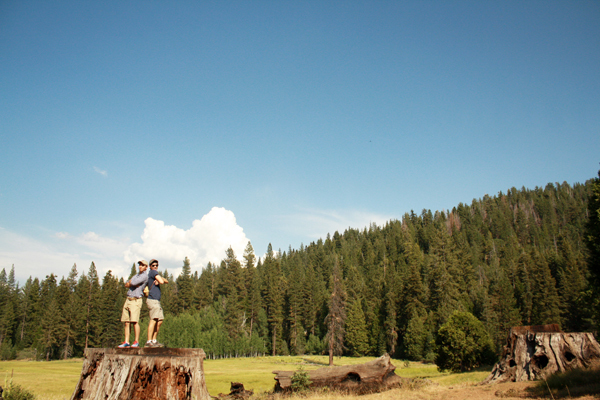 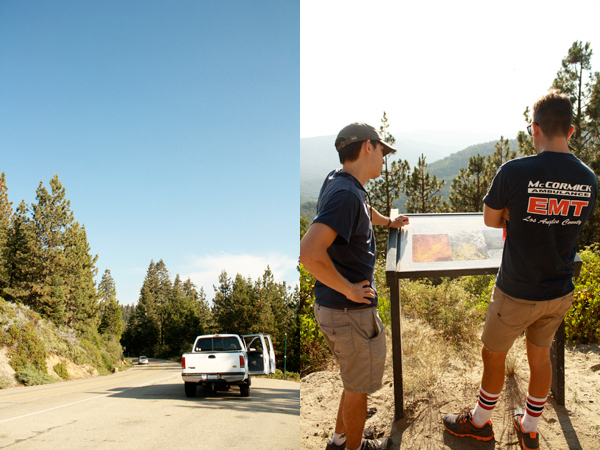 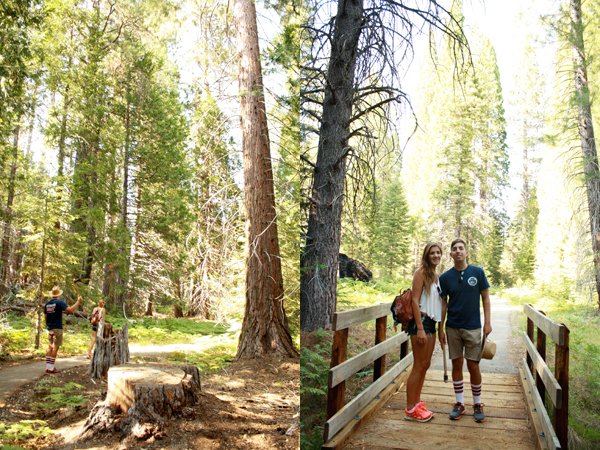 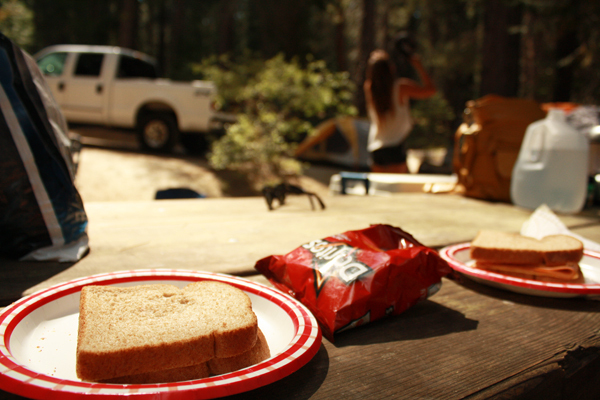 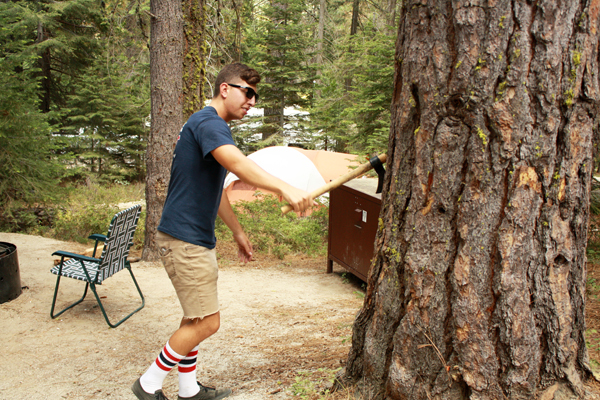 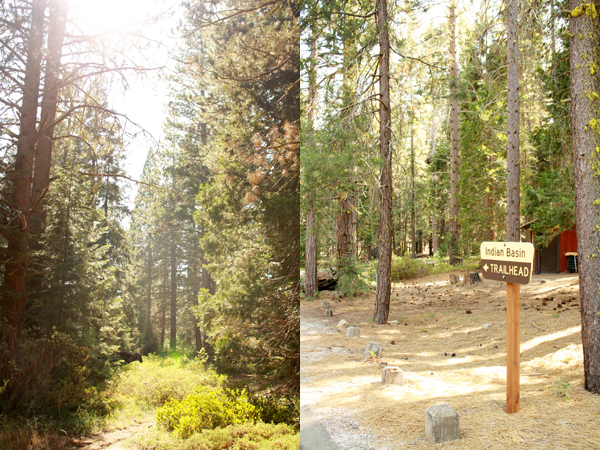 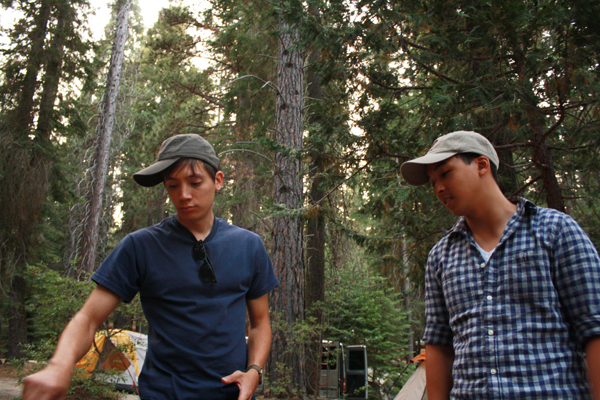 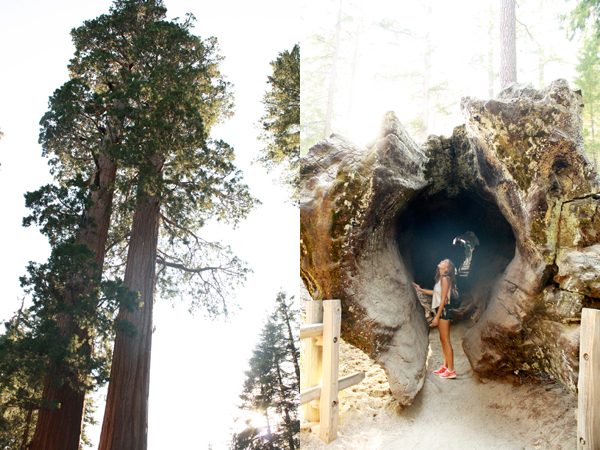 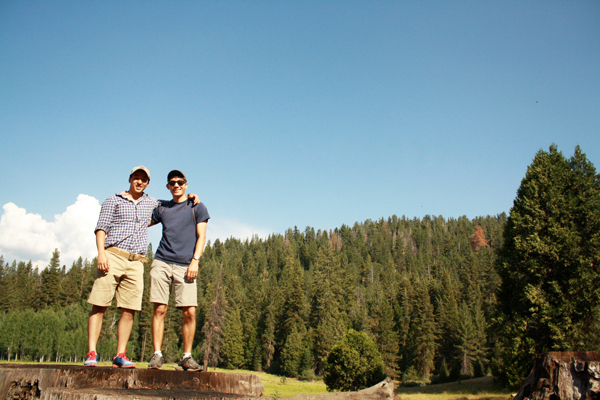 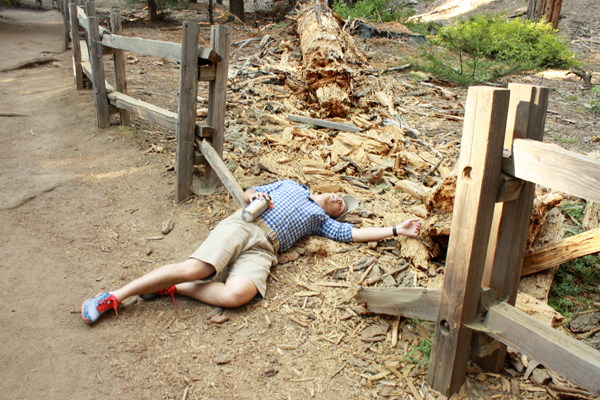 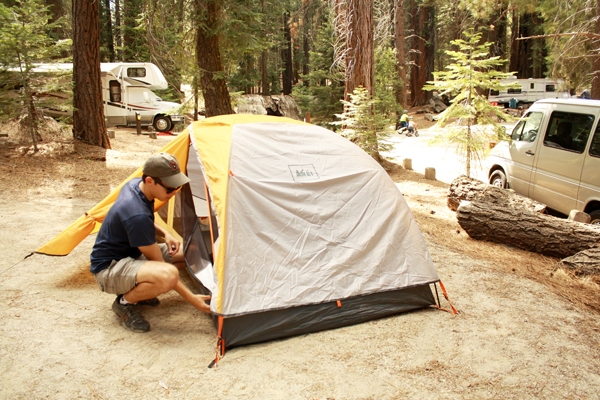 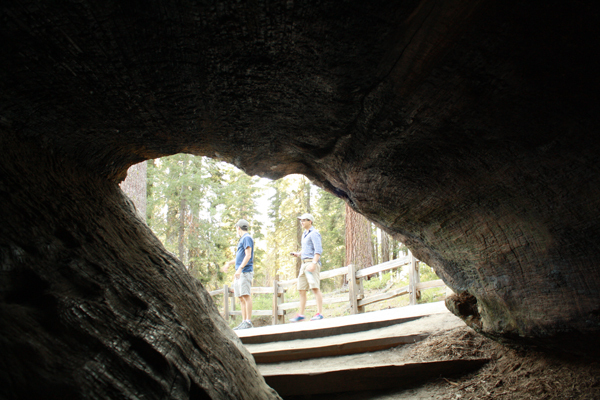 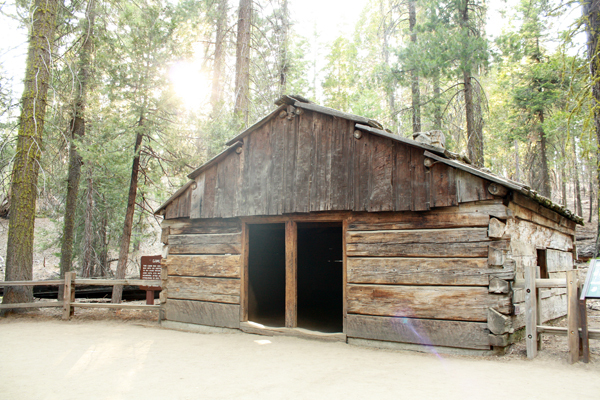 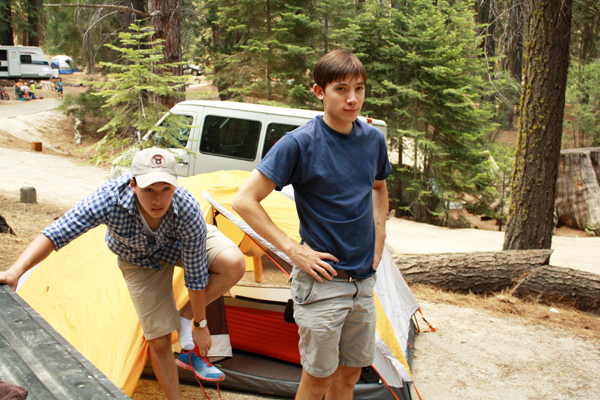 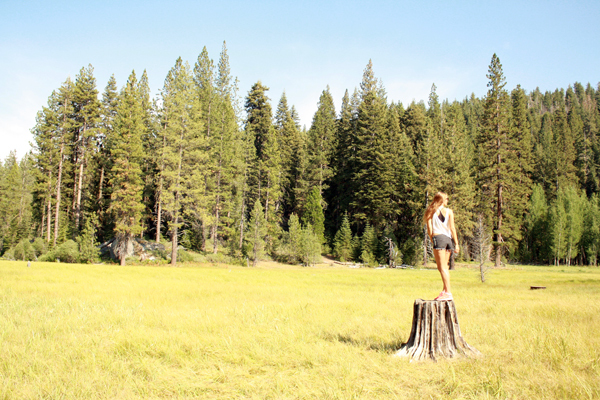 This past weekend we went camping in the Sequoia National Forest, and we had an awesome trip! 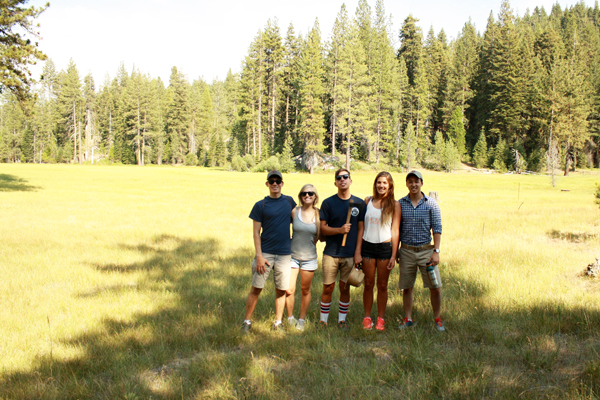 Our friend Sonny flew into California for the week to go camping with us, and my cousin and her boyfriend joined as well. 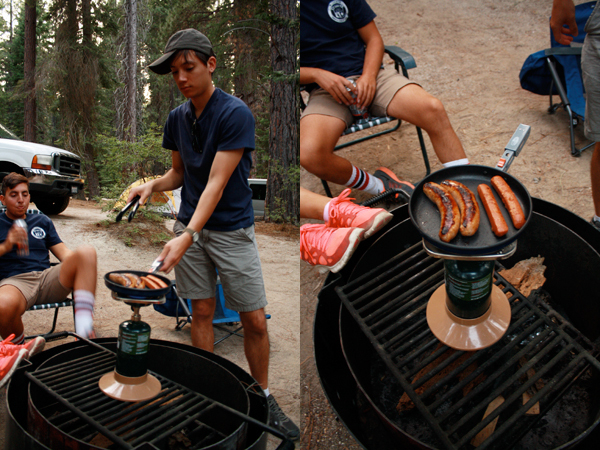 Whitney and I were excited to finally use all of our camping gear we got as wedding gifts! 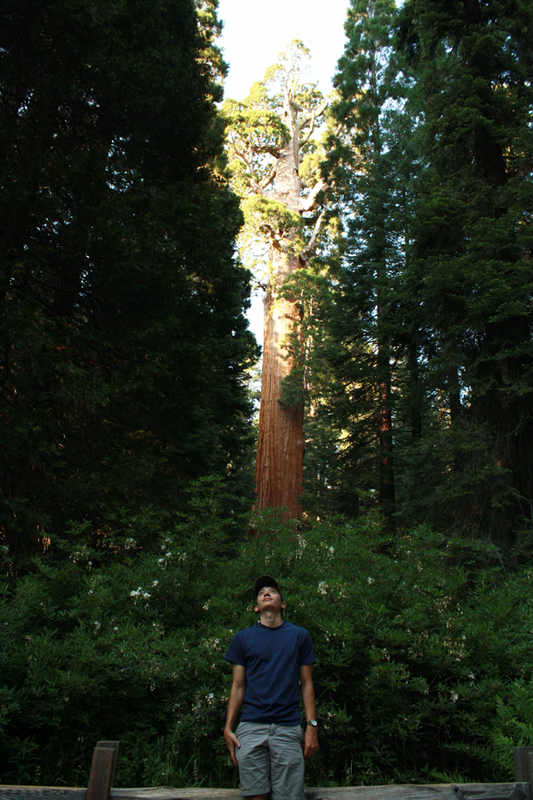 The weather was perfect, and the size of the trees was just surreal. 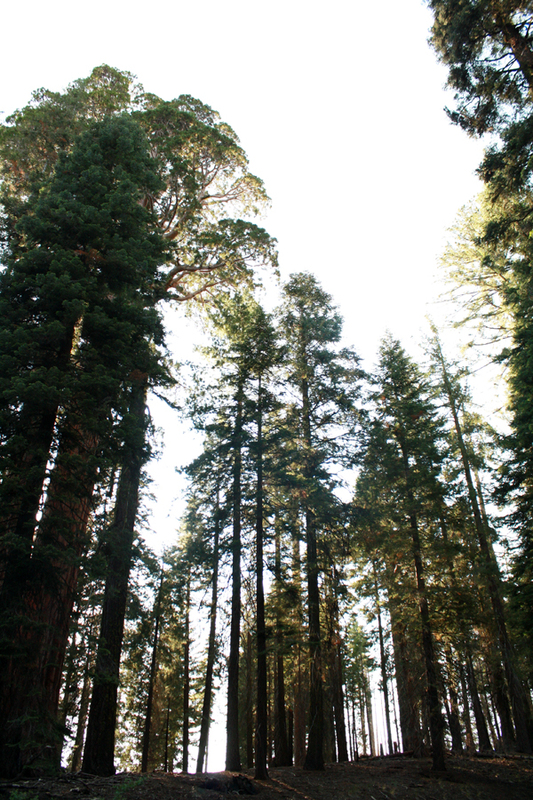 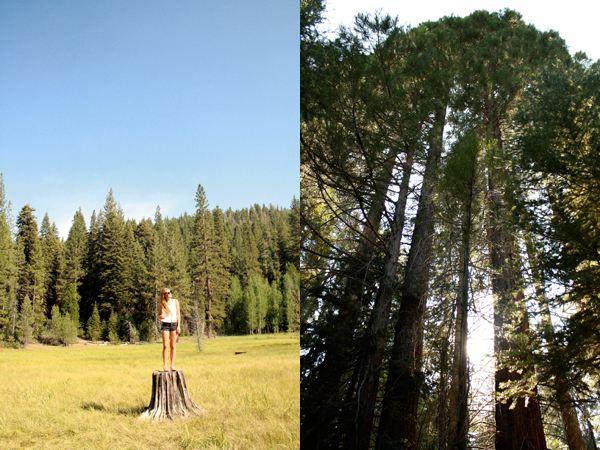 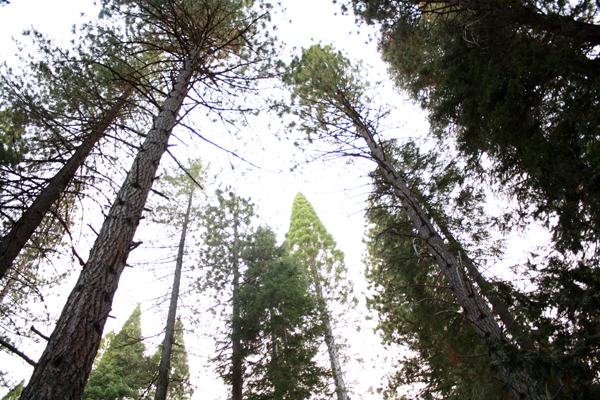 It was great to get away from the city and just be surrounded by these giant trees and nature. 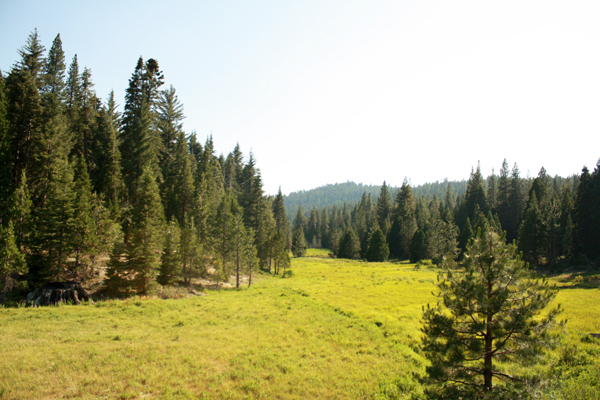 We arrived late afternoon on Friday and after eating and setting up camp, we took an easy hike through a meadow and the Indian Basin trail near our campsite (Princess Campgrounds). 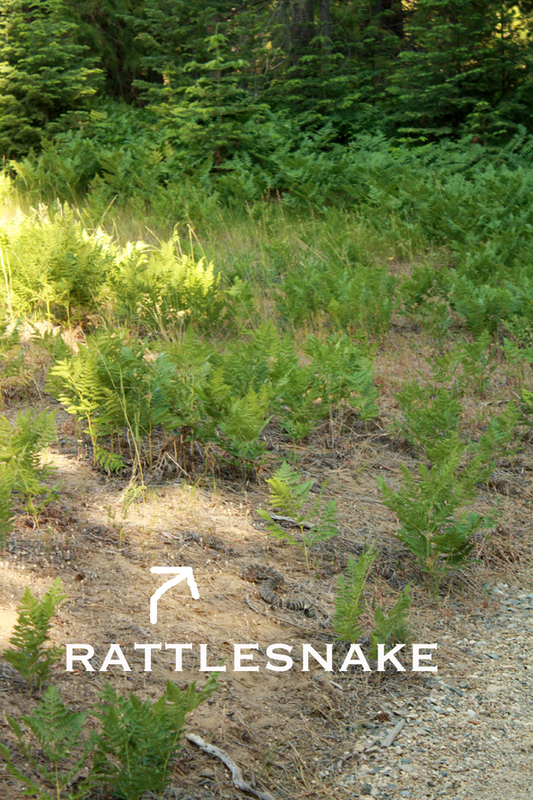 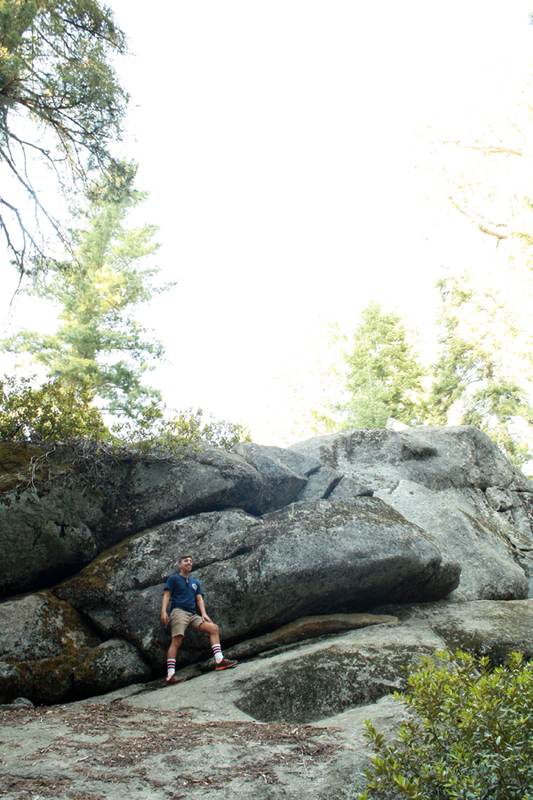 On the way back, I was at the head of the group and almost ran into a rattlesnake (had it not warned me)! 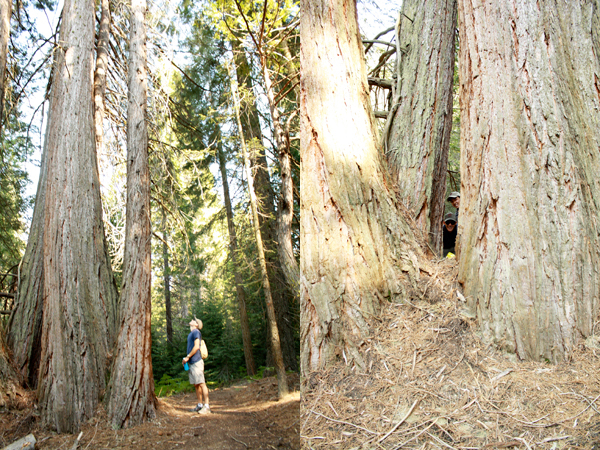 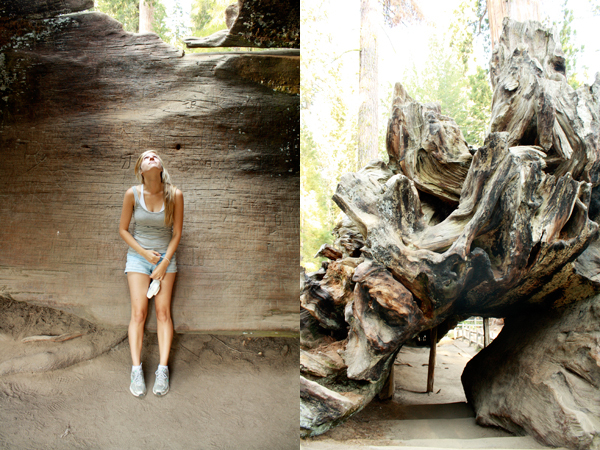 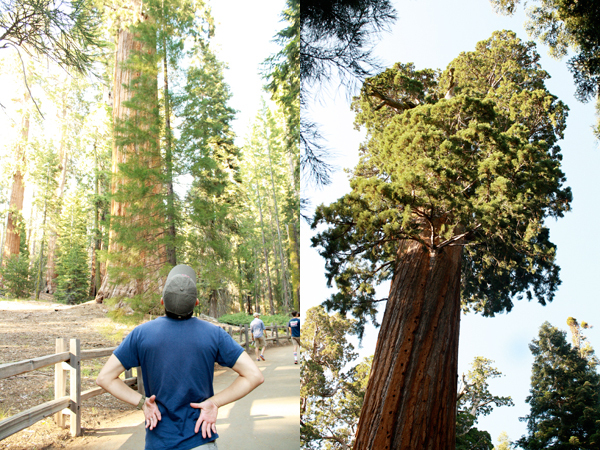 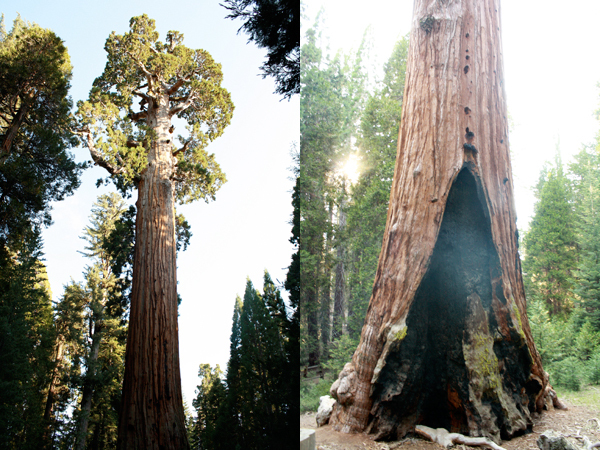 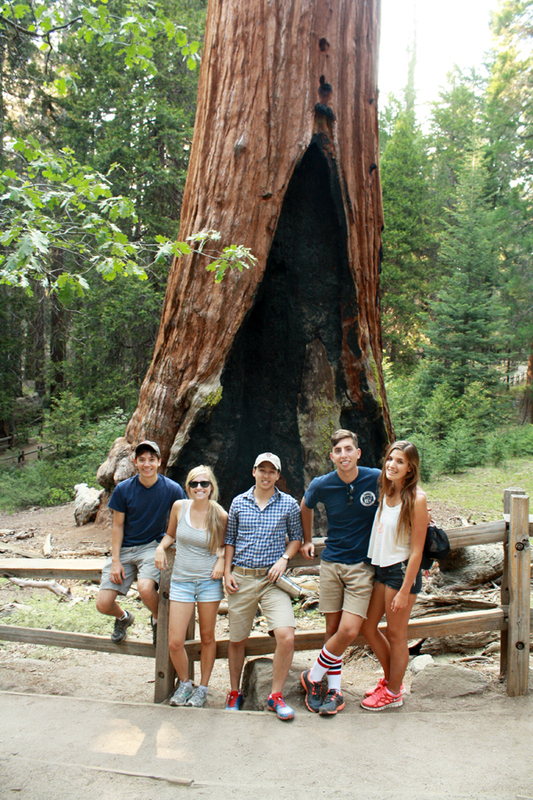 We then went to see the third largest tree in the world, General Grant Tree. 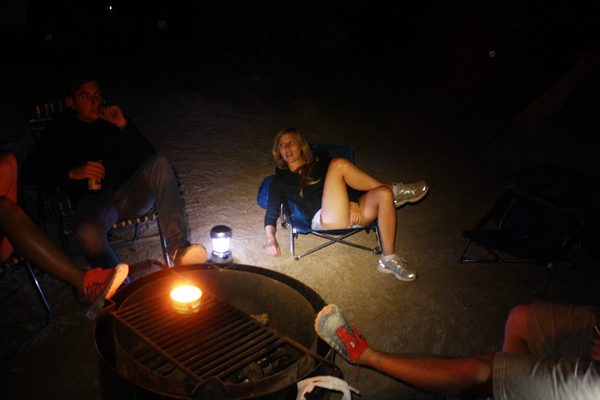 Afterwards we settled in for the night with chili dogs (veggie for some of us), wine and beer, and s’mores. 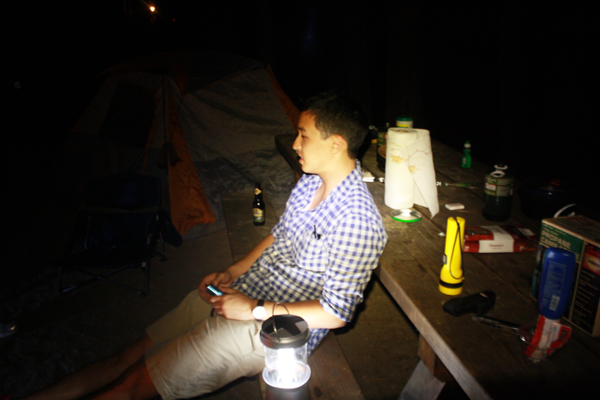 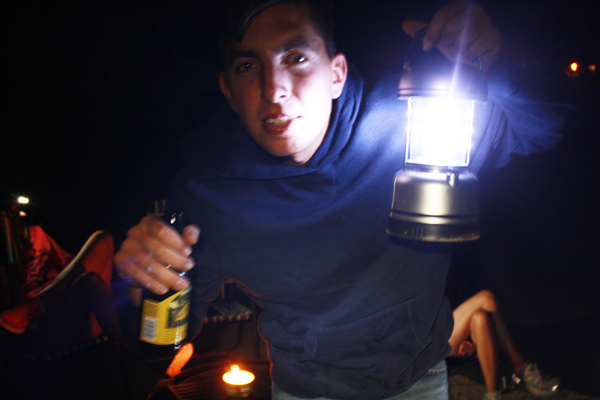 Unfortunately there was a fire ban, so we had to make due with a portable propane stove and lanterns. 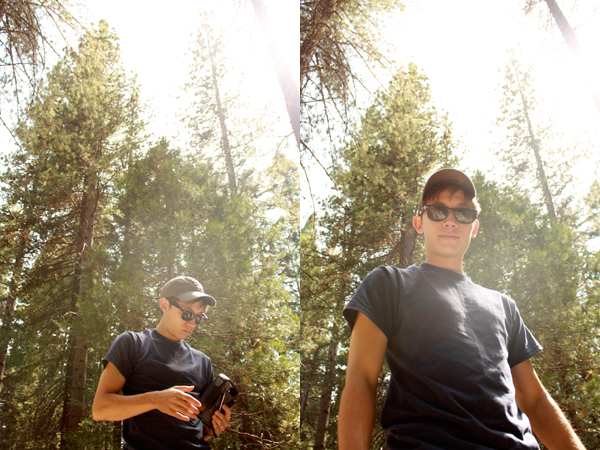 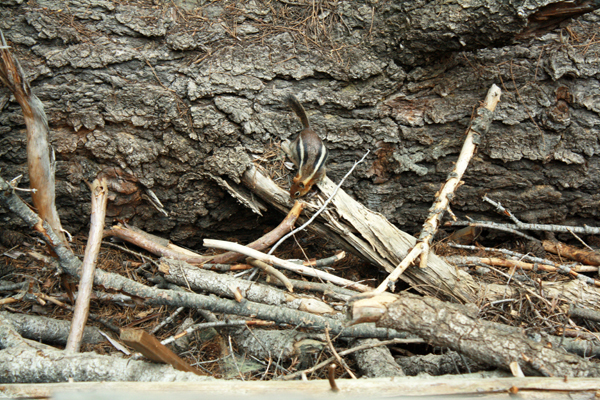 We took a lot of photos, so I’ll only share the our first day of camping in this post (it’s still a lot). 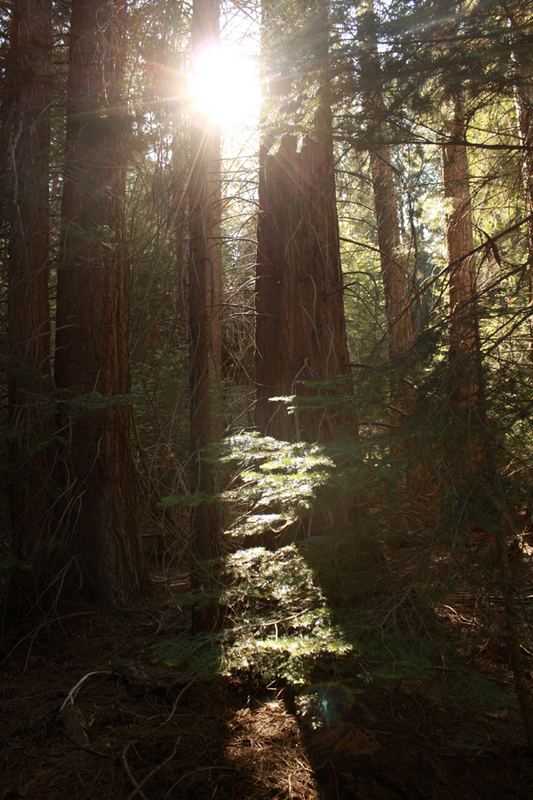 The light in the forest was so pretty as the sun was setting. 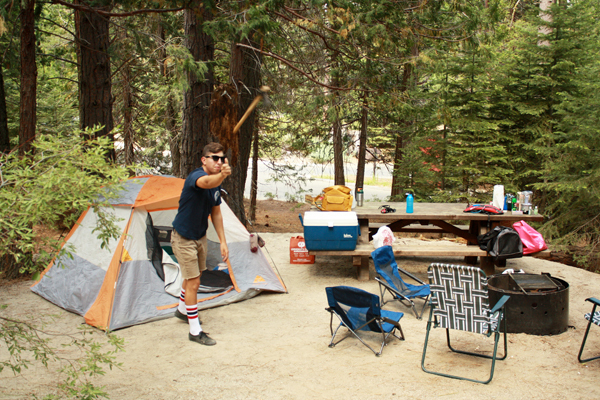 I’ll be back with the rest of our camping trip!